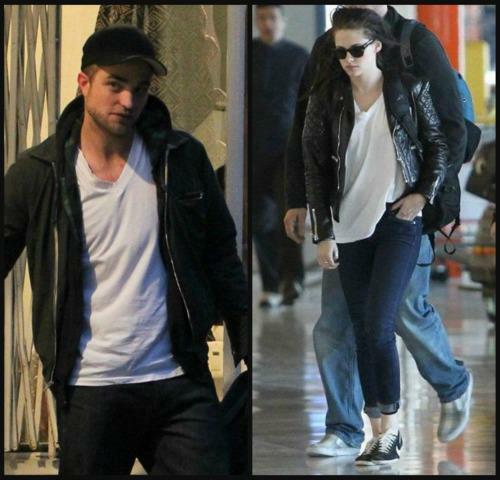 Robsten wearing the same 衬衫. . Wallpaper and background images in the Robert Pattinson & Kristen Stewart club tagged: robsten 2012 kristen stewart robert pattinson. This Robert Pattinson & Kristen Stewart photo contains 商务套装, 西装, 精心打扮的人, 西装, 裤套装, 裤装, 穿着好衣服的人, 裤子套装, 穿得好的人, 套装, 外衣, 上衣, and 户外休闲服罩衣. There might also be 街道, 城市风貌, 城市环境, 城市场景, 城市设置, 盒子外套, 盒外套, 框的外套, 便装, and 可宽延时间的西装.